Categories: Body, Face. Tags: activated charcoal, bentonite clay, body mask, face mask. 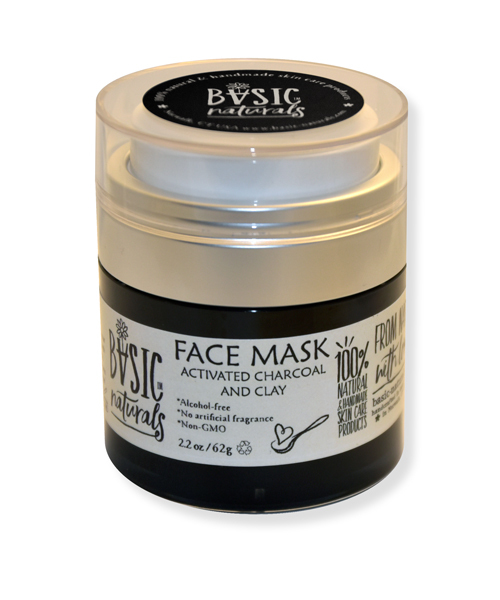 Face mask – Activated Charcoal with Clay is a wonderful way to maintain healthy, glowing skin. 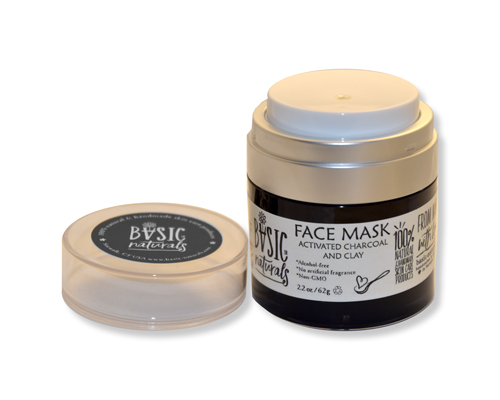 The two main ingredients of this formula are activated charcoal and bentonite clay, which can draw toxins through the skin by adsorption. Adsorption is similar to absorption, except that instead of being drawn into the charcoal/clay, atoms, ions, and molecules adhere to the surface of the charcoal/clay. The more surface space, the more adsorption. 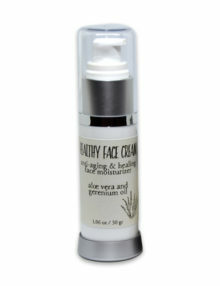 The result is fresher, cleaner looking skin with tighter skin pores. I used on clogged pores around nose. Product is indeed messy, but results are beyond impressive. Excellent for a gentle, slow, sustained, and complete cleaning. For over a week after one-time use, the area continued to gently lift out / remove debris and remained clear. 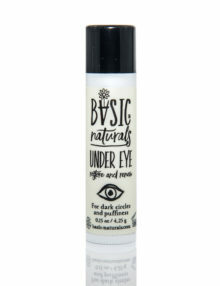 Thank you, Basic-Naturals! 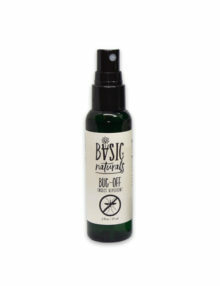 A very effective essential oil insect repellent especially for mosquitoes and ticks. 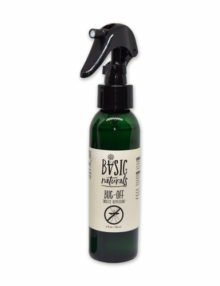 A water-base formula that can be sprayed on skin and clothes. Is your skin tired of alcohol and artificial fragrance? 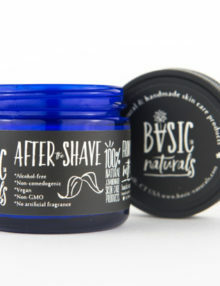 Basic-Naturals AFTER the SHAVE formula is a silky smooth moisturizer with natural antibacterial and healing properties. 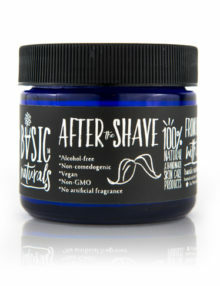 It’s absorbed quickly without the burning feeling after shaving; restoring and retaining natural body oils. It contains mango butter, sunflower seed oil for its acne preventing properties, aloe vera juice for its healing properties and a blend of essential oils including cedarwood for its antibacterial properties.